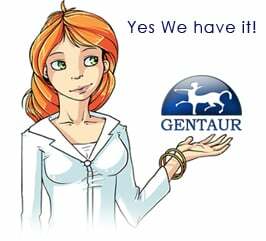 Gentaur antibody-antibodies.com The Marketplace for Antibodies : Generation and characterization of monoclonal antibodies to protein kinase 2 (CK2) beta subunit. Generation and characterization of monoclonal antibodies to protein kinase 2 (CK2) beta subunit. Protein kinase 2 (CK2) is a ubiquitous and constitutively active serine/threonine protein kinase with various cell functions. It typically forms tetrameric complexes consisting of two catalytic (alpha and/or (alpha') and two regulatory (beta) subunits. The aim of this study was to produce monoclonal antibodies (MAbs) against the CK2beta subunit and to characterize their suitability for Western blotting, immunoprecipitation, and immunohistochemical applications. Bacterially expressed CK2beta-6His-GST recombinant protein has been used as an antigen. Balb/c mice were immunized and given a final boost, and their spleen cells were collected and fused with SP2/0 myeloma cells using PEG 2000. The fused cells were then selected in the HAT-RPMI medium. Anti- CK2beta high-titer antibody-producing hybridoma cell lines were identified by enzyme-linked immunosorbent assay (ELISA) and then subcloned by limiting dilution in HT-RPMI medium supplemented with 20% fetal bovine serum (FBS). A total of 10 IgG-producing cell lines were selected and further tested for their reactivity with the CK2beta subunit using ELISA, Western blots, immunoprecipitation, and immunostaining of formaldehyde-fixed paraffin-embedded tissue sections. The results obtained clearly indicate that several clones produce antibodies that recognize specifically recombinant and endogenous CK2beta subunit in Western blotting and immunoprecipitation, and are suitable for immunohistochemical analysis. In summary, the produced antibodies will be useful for researchers investigating signaling pathways involving CK2 kinase and their deregulation in human pathologies.